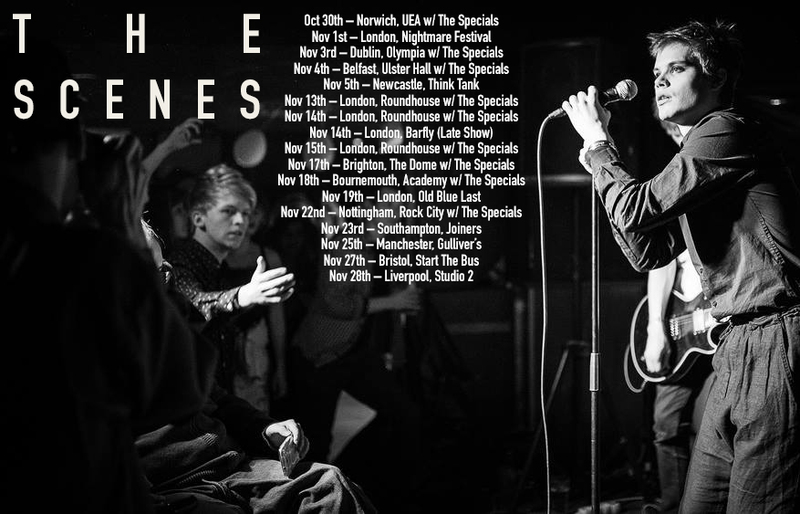 The Finnish experimental indie-punk-rockers The Scenes are bringing their diverse sound back to the UK for a lenghty tour with The Specials. Their new album Beige is set for release on 27th October and the guys are ready to astonish the UK audience with their compelling sound. MGMB speaks to the band’s guitarist Miki Liukkonen. Eva: The Scenes are returning to the UK at the end of this month supporting The Specials. What are your expectations for this nearly a month long tour? Miki: Well, to be honest, I don’t really except anything. I don’t know about the other guys in the band, but I usually take these things like going to a restaurant. It’s normal, there’s no big excitement for me. Of course I’m ever so glad that we have this opportunity to tour with The Specials, but in the end, it doesn’t differ from anything. Which places are you looking forward to playing the most? What do you have in store for the UK audience this time around? I hope we manage to throw gigs that leave you speechless, maybe happy, or sad (and make you buy our records). It’s important to Feel something. How would you describe each band member when on stage? Maybe this should be asked someone else, because I don’t really pay attention to other members of the band when we’re playing. I usually see my hair and shoes and flashes of blurred audience through sweat. You’re also playing the Nightmare Festival in London . Have you thought of any fancy costumes? Not really… Eh.. I would like to be…um… I would like to be that little boy, Daniel, from Kubricks movie “The Shining”. Let’s talk your new album ‘Beige’, which comes out on 27th October. How would you define this record? It’s a blobby mixture of melancholic ballads and “in your face” kind of punk and rock, with alternative elements. And… you know, I could go on like this for a while, but then I would make myself sound like an idiot who doesn’t know what he’s doing. Which track from this album is your favourite to play live? What was the shooting process of your latest video ‘City of White Blankets ‘ like? Your music’s very unique. When I first heard you I thought: ‘Wow. That’s different.’ What are your main aims when putting songs together? Basically just to make music that we’d like to hear, but no one has ever made. We don’t care about genres. Good music is good music. I really love Frank Sinatra. What got you into music in the first place? Compelling need to create, and this pre-adolescent misconception that it was rebellious. What’s the music scene like in Finland at the moment and how much support does the type of genre you do get over there? Well let’s just say that here in Finland we have bands. End of story. Other bands don’t give us support. I have this paranoid attitude towards ’em. I think we’re not “indie” enough. We don’t use echo-effects enough. We don’t look like we’re trying to be from 1994 or 1984. But from other people, from fans: yes! And it’s great. Do you have any special plans after the UK tour’s over? We’re going to make 3rd album, that’s for sure.